I am so excited to start sharing some details of our wedding planning with all of you wonderful people! 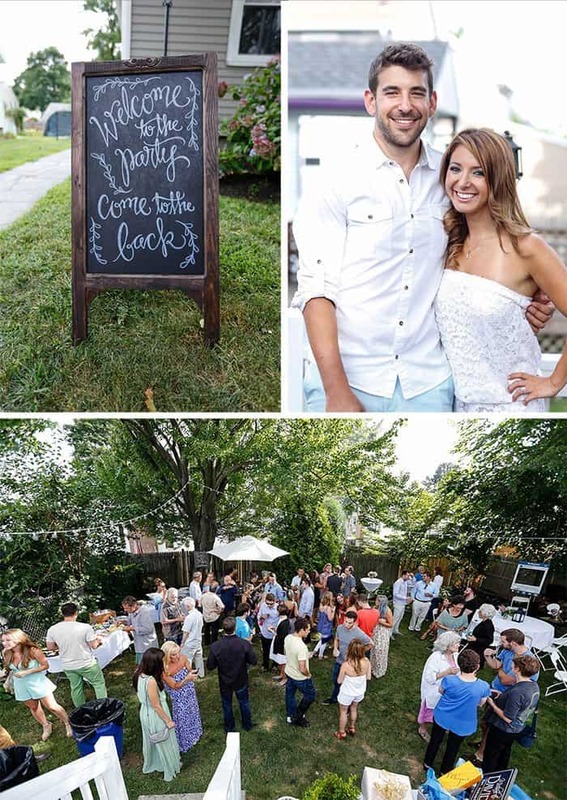 The first post of the wedding planning series has to be our recent backyard engagement party! We added tons of DIY fun details that I am just so in love with. 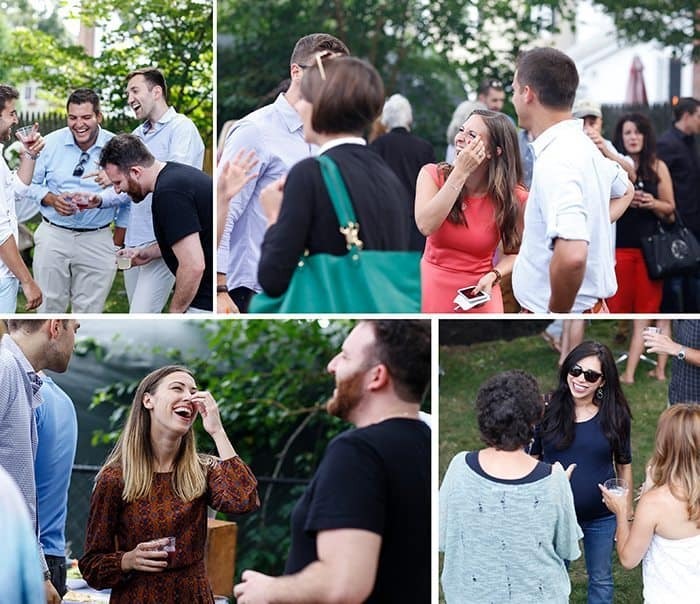 So, the day: We had 75 of our closest friends and family at our house! We totally lucked out with the weather. I think I checked the weather.com app every 20 minutes for two weeks, but PHEW it was perfect- and not too hot! The day/night was filled with food, cocktails, laughter, new & old friends meeting, and so much more. It was just the best. I’m now even more excited for our wedding next summer, since so many people met and got to know each other! We went back and forth about what to do catering for a few months (I decided me cooking was out- since I wanted to enjoy the party and would have so much to do prior already), and then Mike and I stopped into this little Mediterranean cafe when visiting Nashua New Hampshire and and fell in love with the food. We asked them if they’d deliver to Boston and they happily agreed! 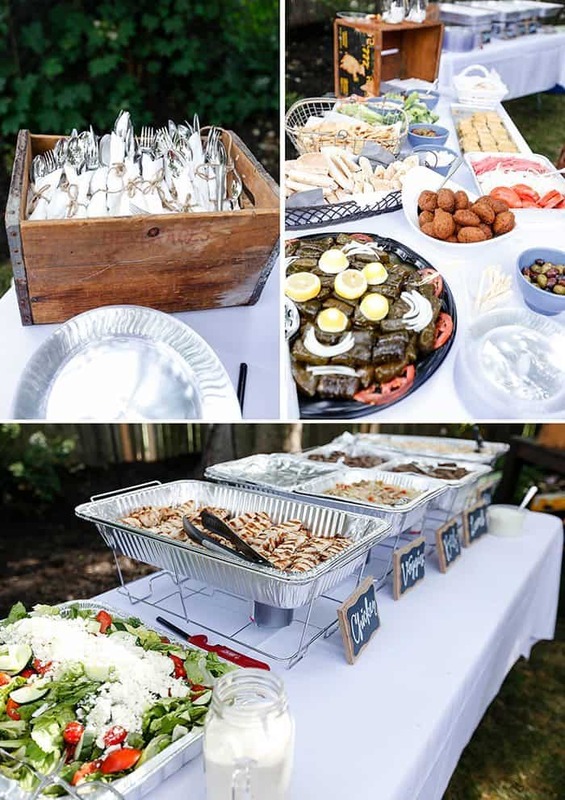 We thought it would be the perfect food for an outdoor backyard party, a little more than the traditional BBQ, but still perfect for the summer weather. We had chicken, beef, lamb, grilled veggies, rice, salads, stuffed grape leaves, fresh pita, hummus, spinach squares, falafel, sauces, veggies, and more! And now we can’t forget to mention the bar! On the table was my homemade sangria (recipe coming soon), boozy lemonade, pineapple-infused vodka, beer, wine, and mixed drinks! Mmmmm, the cake! Last year for Mike’s birthday Lynn made his cake and NOBODY knew it was gluten-free & dairy-free (unless we told them ;)). We asked her to make the cake again for the party and I couldn’t have been happier with how it turned out. It was EXACTLY what we wanted! I ordered this cake topper, accented myself with the flowers, and there you have it! I knew I wanted some little fun element to the party so of course had to bring LCK into the mix! 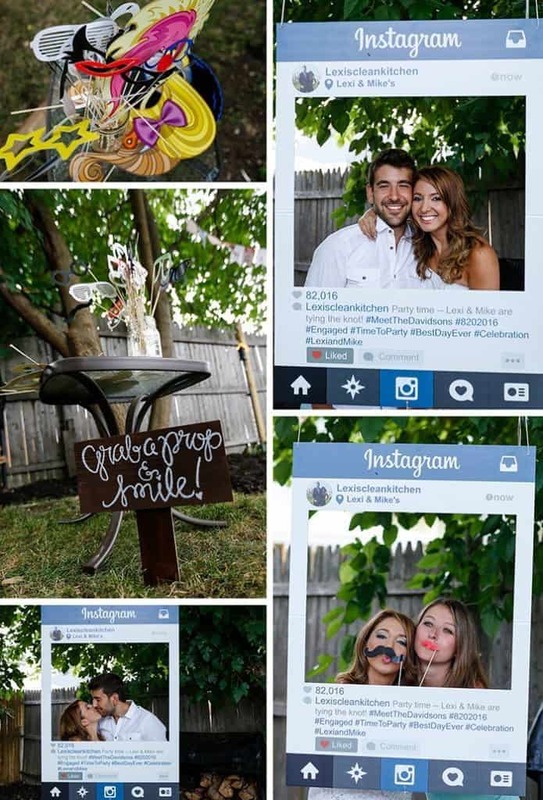 Our Instagram cut-out & props were an absolute hit. I loved watching everyone have fun and get silly with it! Now you’re likely thinking… what about THOSE SIGNS!!!!! The amazingly talented Jen, from Love Always Cards, made all the signs around the yard! 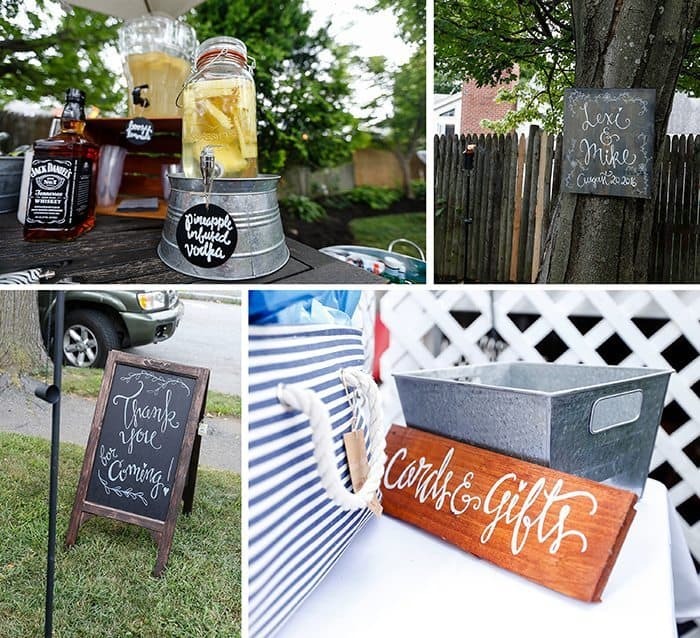 From food & drink signs, to a large save the date sign hung in the tree; all of her signs added such an awesome touch to the yard. I highly recommend them and love how you can customize them however you want! 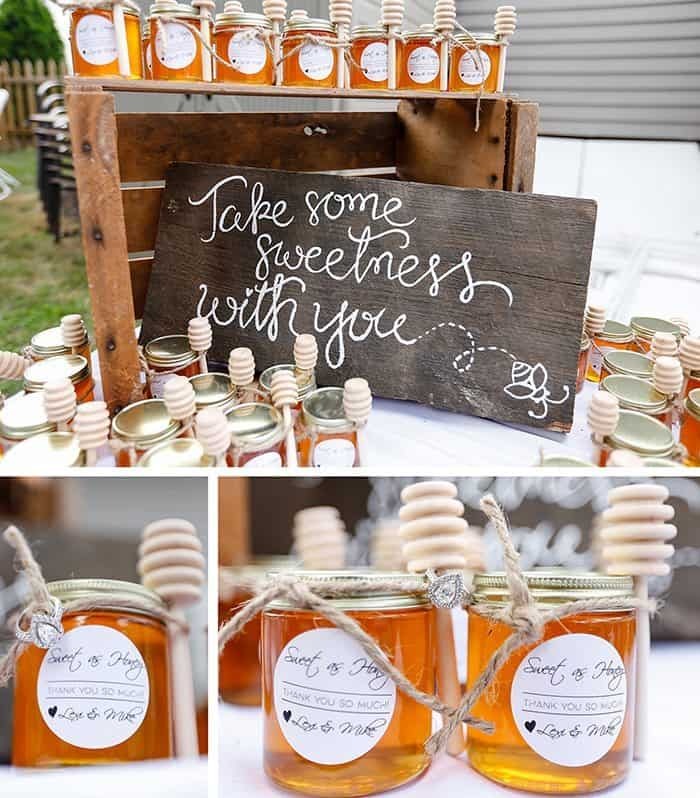 The final touch to the backyard party- Honey Jar Gifts! I am so excited that my favorite olive oil company, Kasandrinos, will be bringing honey to their website this Fall! All of our family & friends went home with some amazing, fresh, local honey from this family run business and they were just the cutest ever! We threw some labels on them, tied the honey sticks with a burlap string and wa-la! Honey sign from Jen, of course! Abigail from Abigail Kuzia Photography spent a few hours with us and these are ALL of her amazing photographs. She captured so many awesome moments and all of the details! She was super sweet, fun, and a pleasure to work with! Photographs © Abigail Kuzia Photography. What is your best wedding planning advice?! Wedding Hotel Welcome Bags Cooking for Others: A Guide to Home-Cooked Meals & Meal Train Ideas How to Make Body Scrub (& Why You Should Exfoliate!) It’s Official! What a beautiful party! I love the little honey gifts, too cute and thoughtful! 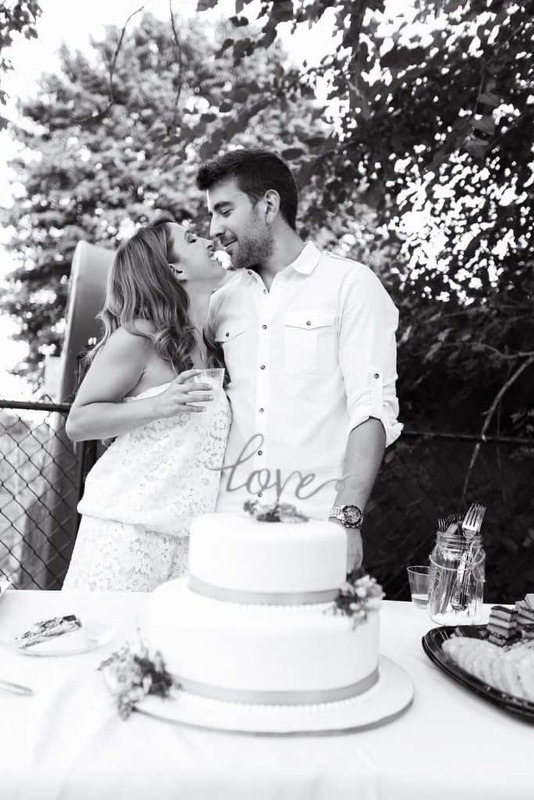 What a beautiful engagement party!! We got married last summer and my best advice is to never leave the dance floor – let your guests come to you! The more fun you have, the more fun your guests will have! My husband and I danced all night and so did our guests. No one wanted the night to end. Even though we were all sore the next day, it was totally worth it. Our friends and family still talk about how epic our wedding was. Oh! And buy a ton of flipflops for your female guests! Old Navy has a $1 flipflop sale early in the summer. I bought over 40 pairs and organized them by size beside the dance floor. Our guests all switched into them once their feet got sore. It was a perfect way to keep everyone dancing! Best of luck with the rest of the planning process! Hi Lexi, A Happy Hostess was excited an Happy to be part of your engagement party too. Our servers provide great service so that you could relax and enjoy your own party. I just came across your blog the other day and I love it (I’m from Long Island!)! Congrats on your engagement and what a beautiful party!! Best of luck! Thanks for sharing! I loved this post! 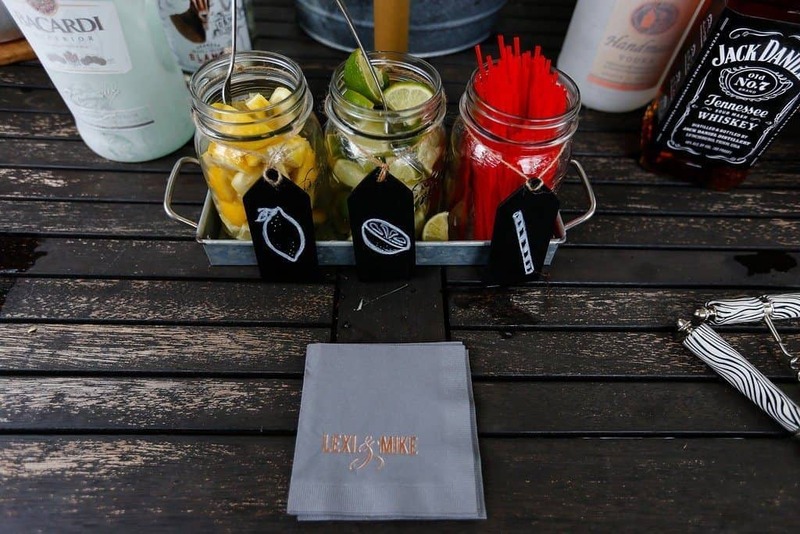 Being newly engaged myself and in the process of planning a back yard engagement party next month – this was incredibly helpful. I hope you’ll continue posting about your other celebrations leading up to the big event this summer! Thanks Lexi and best wishes to you and your fiancé. Hi! Loved this post! Wondering, what did you do for invitations? I designed them myself and had them printed, actually! I also really like using Minted.com. 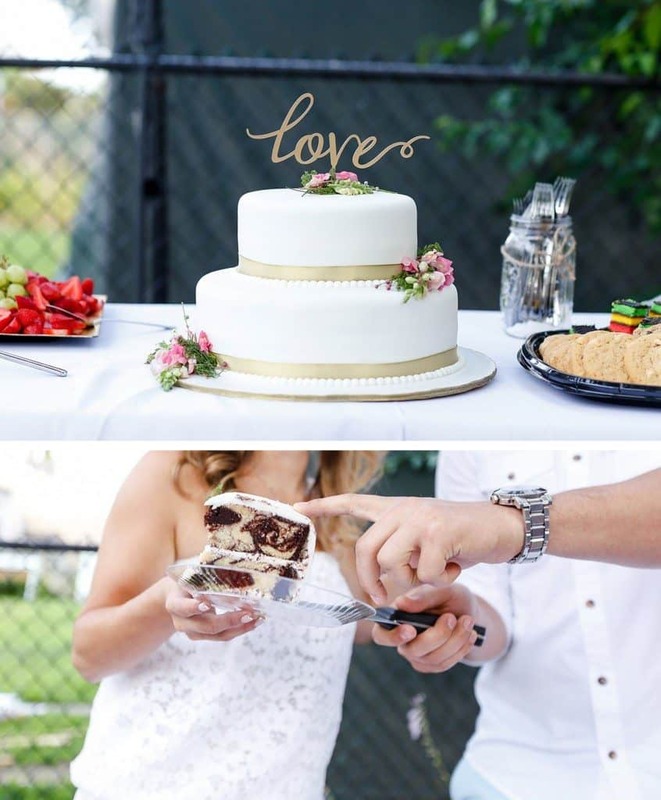 beautiful engagement party and all the ideas! I’m looking for ideas for my daughters graduation party in the back yard and this gives me a lot of inspiration.